All products must be handmade by yourself. You are not allowed to sell commercial merchandize. A tax identification number, proof of practice as a freelance artist and/or a valid business licence must be submitted. If you have your own website or make use of other digital platforms, please let us know. You will receive an email announcing the time and place of the next jury session approximately one week in advance. Be sure to attend the jury session! Eligibility for participation depends on a positive assessment by the jury members. Bring a selection of your products to the jury session (photos will be not be accepted) and present them in an appealing manner. Applications sent at a later date cannot be considered until 2020. If you live a long distance from Vienna, you may send your products by post to Madeleine Landa (jury organizer), making sure to notify the jury beforehand. After the jury session, you will be notified by mail as to whether or not you have been accepted. 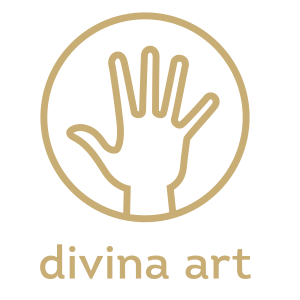 Acceptance for ART ADVENT does not automatically include membership of divina art. You may apply for membership when you have participated in at least two Art Advents. Applications to participate in ART ADVENT must be made annually in the spring of the same year to divina art. It is also possible to take part in the event for a shorter period of time (one or more weeks) once an application has been accepted by the jury. The association itself will provide booths for those participating on this basis.